I haven't written about the status of Texas' Voter Photo ID law for some months. Here is a short update. Recall that last August a panel of three federal judges for the United States District Court for the District of Columbia found the law imposes "strict, unforgiving burdens on the poor" and noted that racial minorities in Texas are more likely to live in poverty. In other words, that federal court wouldn't let Texas enforce its new voter I.D. law. Texas then started the process to appeal that court's ruling to the U.S. Supreme Court - the Supreme Court has not yet accepted the appeal, pending its decision on an Alabama case. 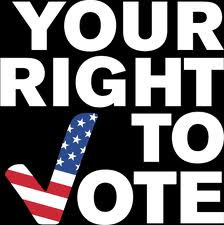 Sometime before the end of June, the Supreme Court will decide Shelby County (Alabama) v. Holder, a constitutional challenge to the "Section 5" preclearance provision of the Voting Rights Act, one of the law’s most important guarantees against racial discrimination in voting. Enacted in 1965 and renewed by Congress in 1970, 1975, 1982 and 2006, the preclearance requirement forbids governments with a history of voting discrimination from enforcing racially discriminatory voting changes.